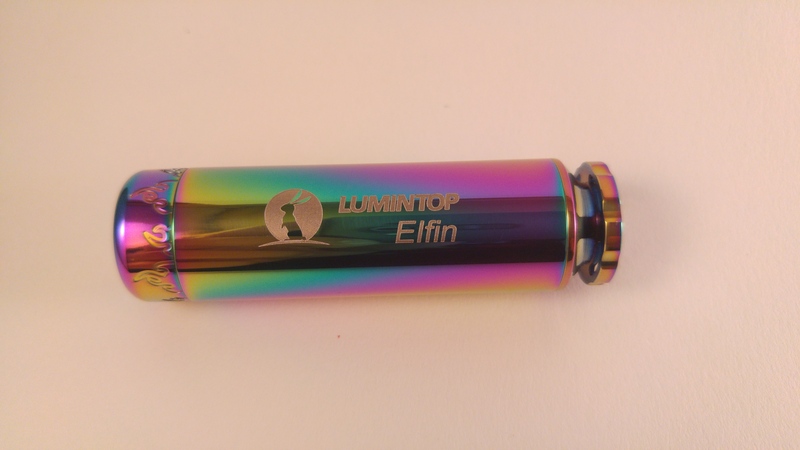 LUMINTOP Elfin flashlight is a luxury gift flashlight with its perfect handy size and eye-catching dazzle color. 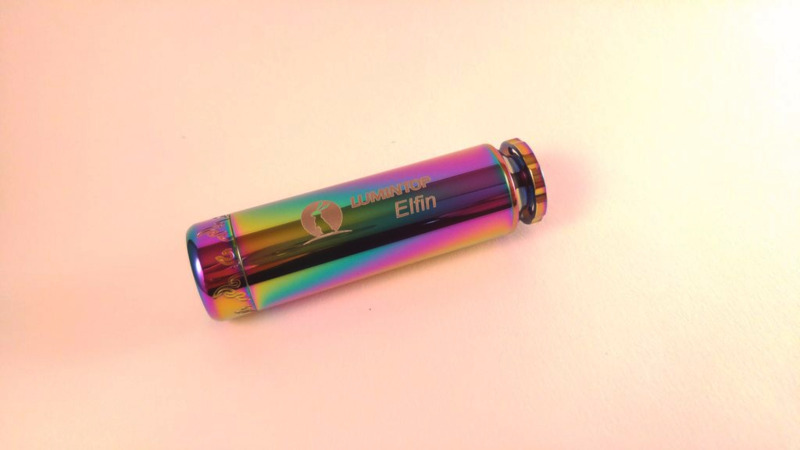 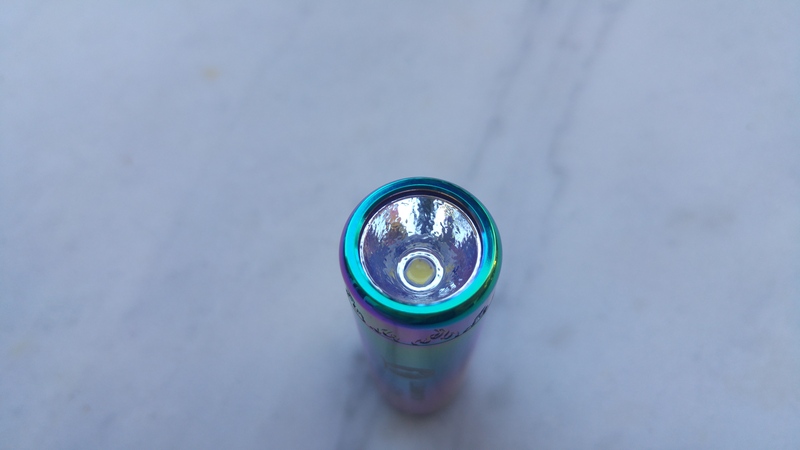 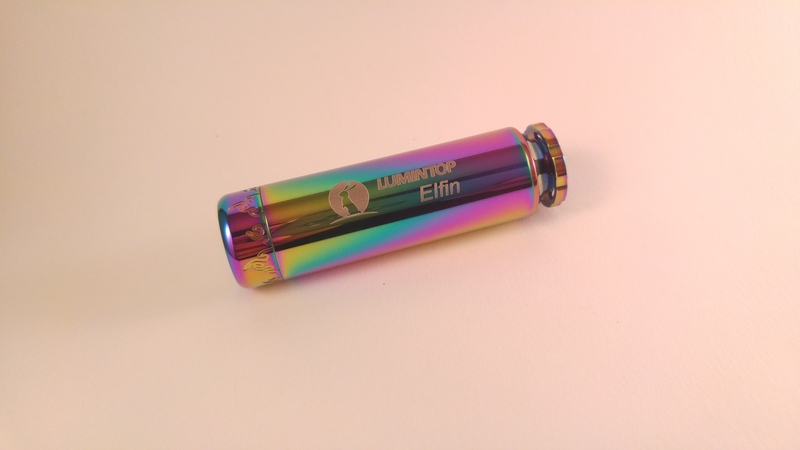 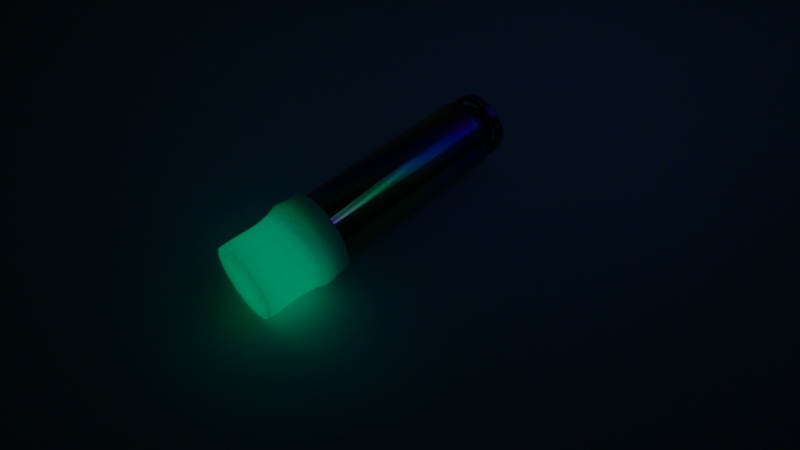 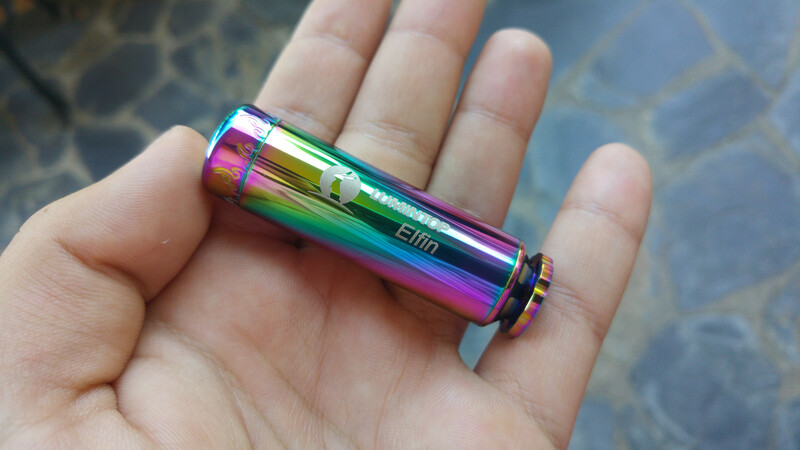 As its name Elfin, this little flashlight brings surprises of its glossy surface, for the changeable color of the flashlight in the different view. 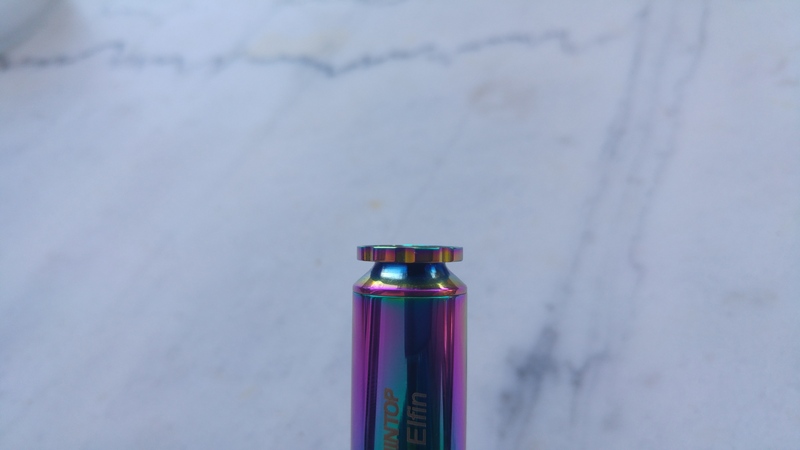 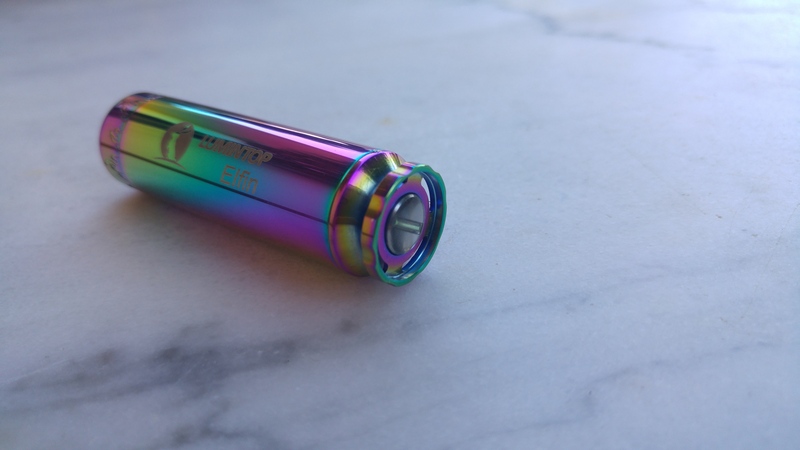 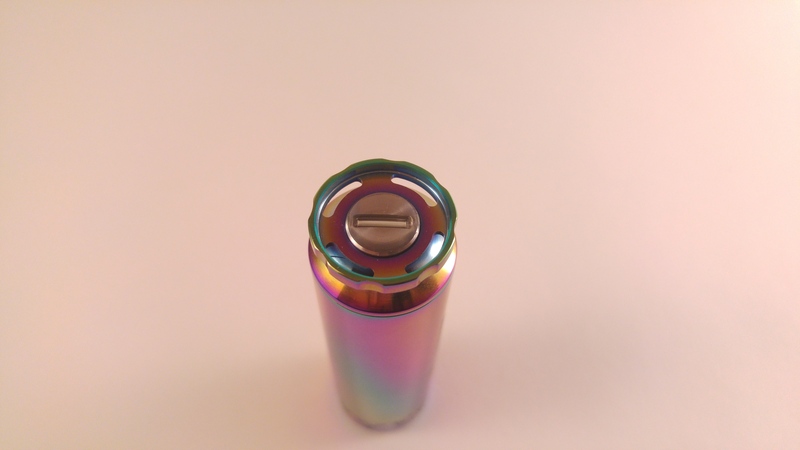 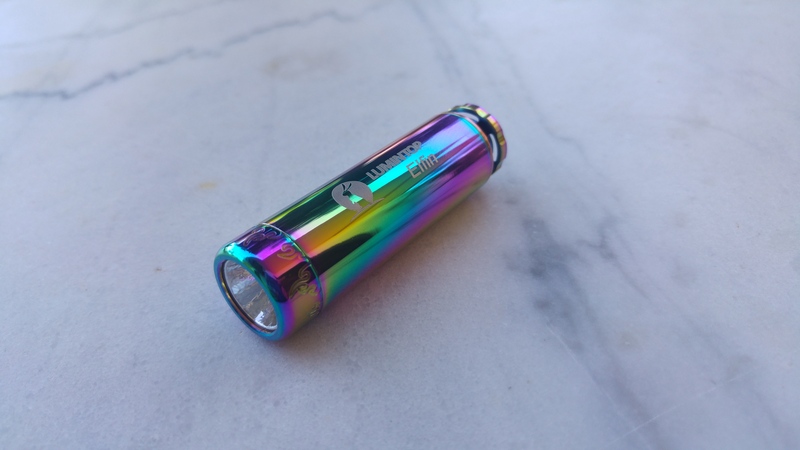 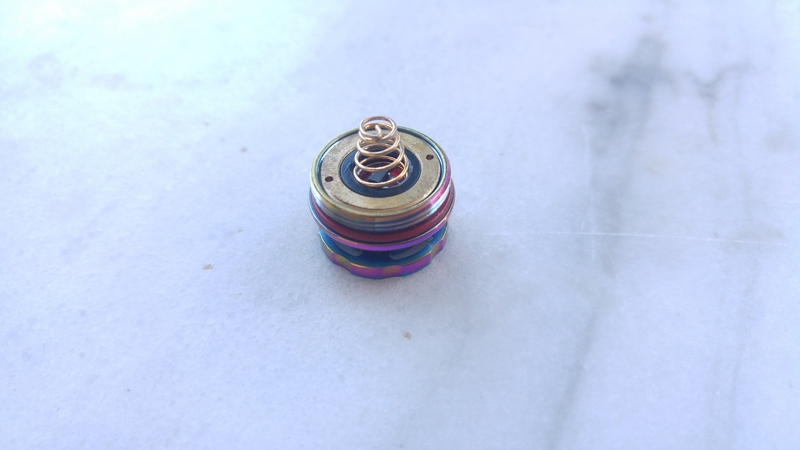 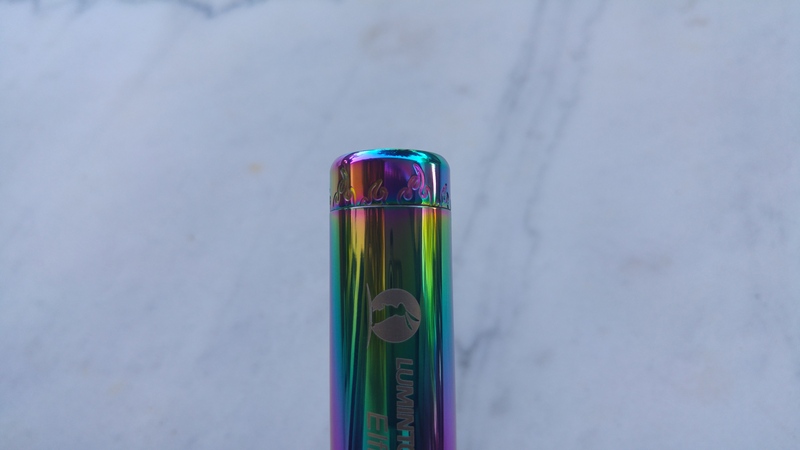 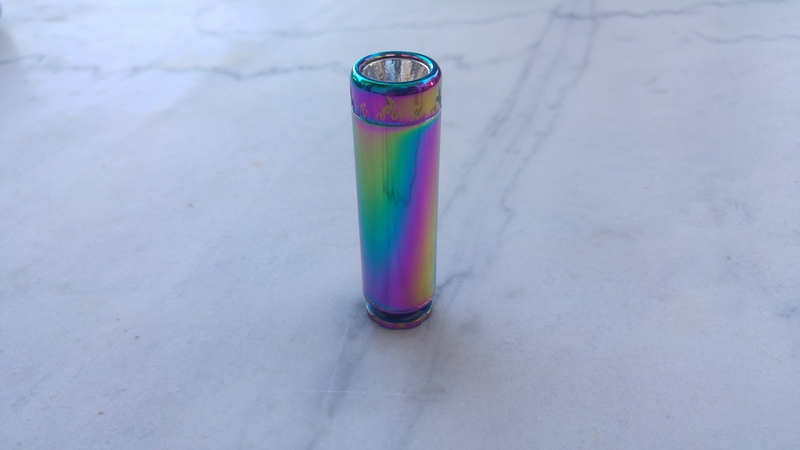 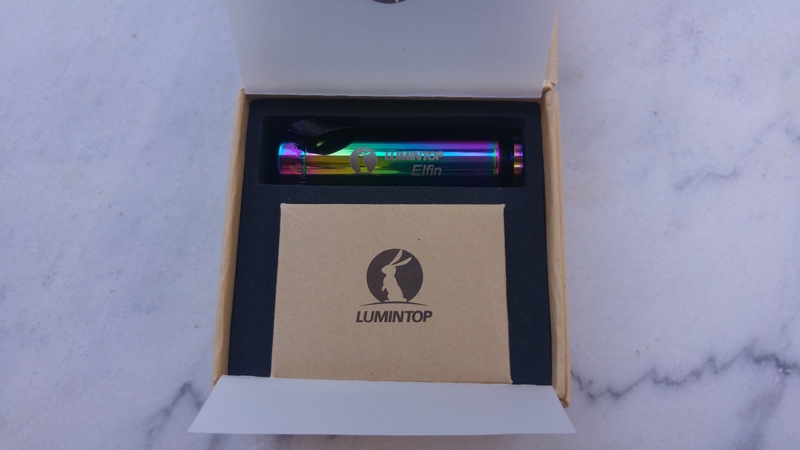 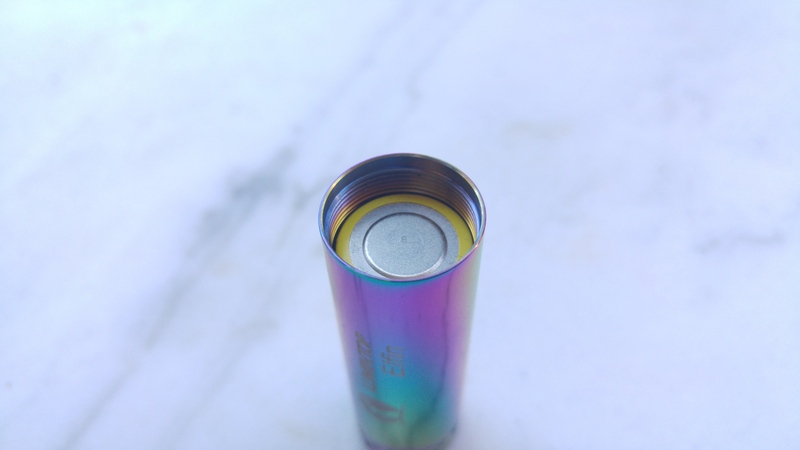 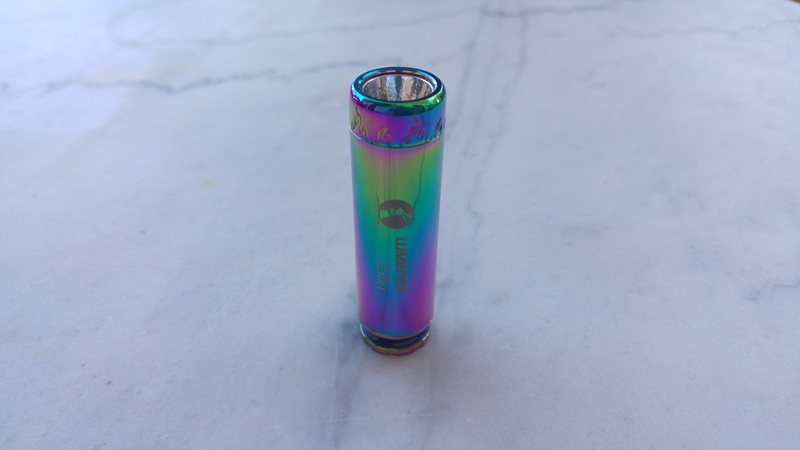 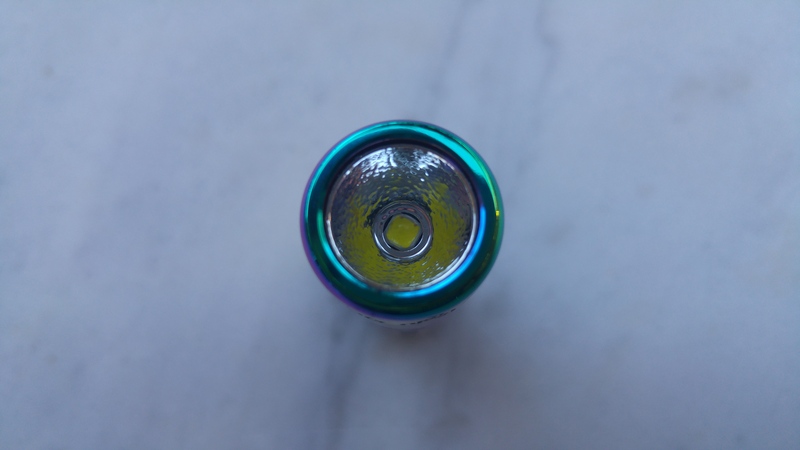 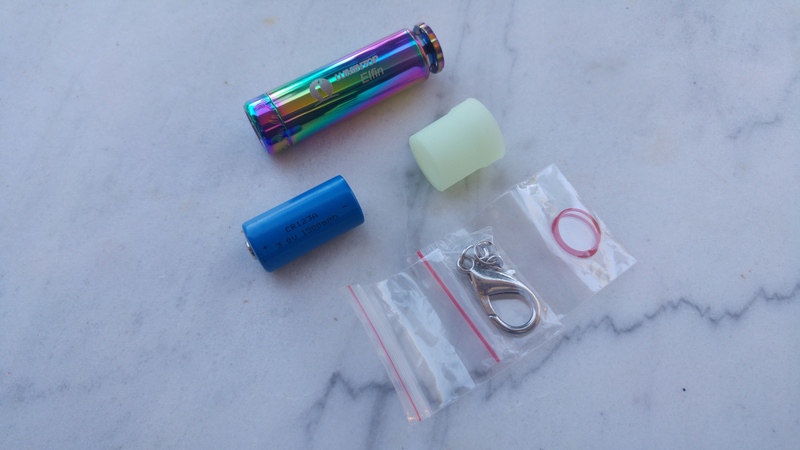 Lumintop mentioned it has copper inside for heatsinking , great for a light made from titanium that isn’t the best at heatsinking and thermal dissipation . 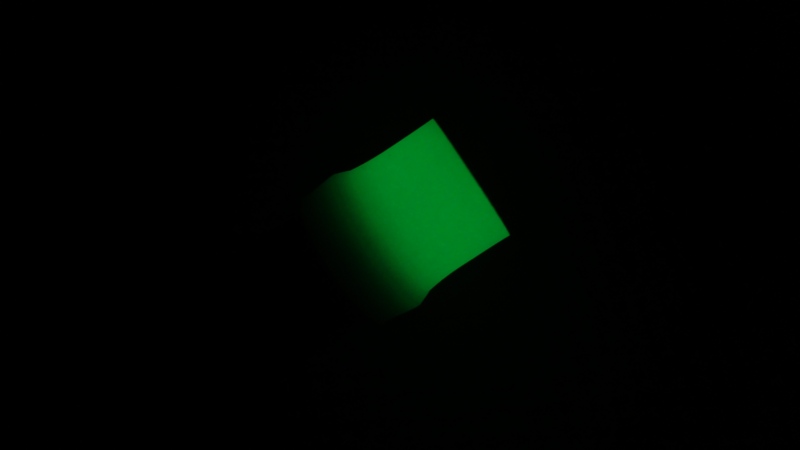 Reflector is OP , lens are AR coated . 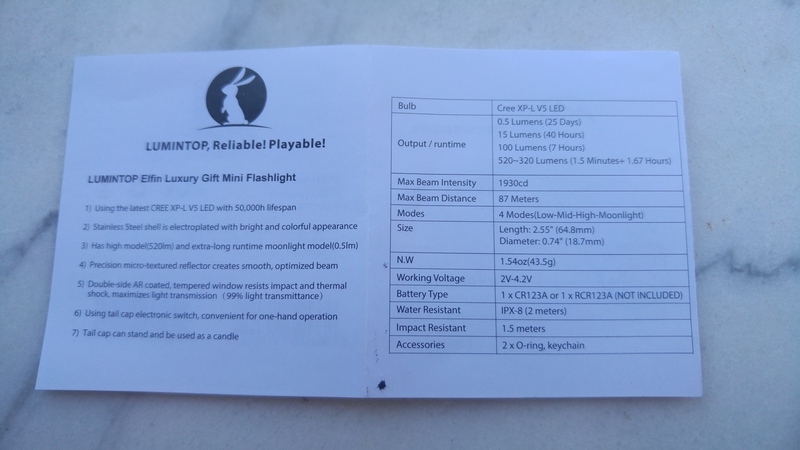 Flashlight uses the switch at the tailcap for on/off function and mode change.  The switch has a single stage and each click will turn either on or off the light. 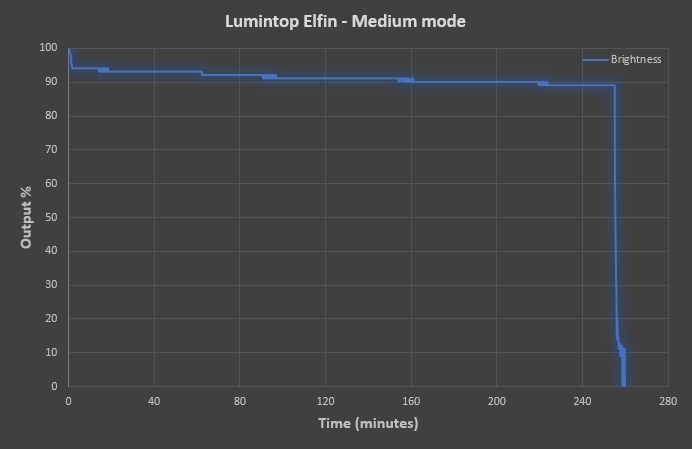 If you turn off and back on the light within few seconds, the light will go into the next mode. 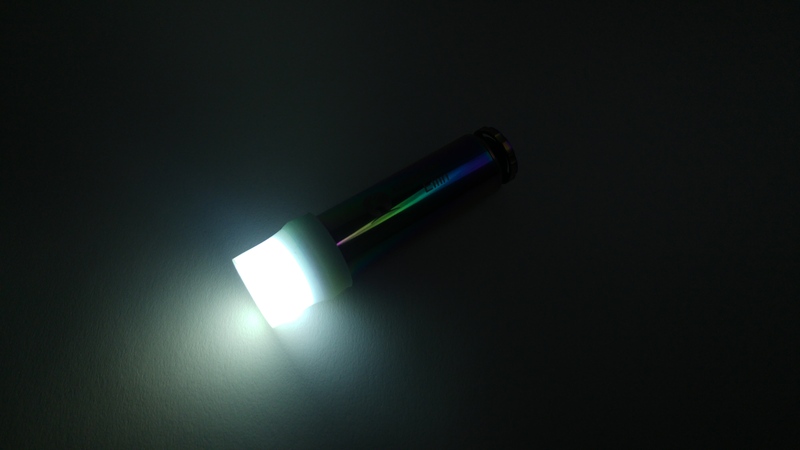 Tint is nice , not blue or green , nice cool white with a touch of neutral . 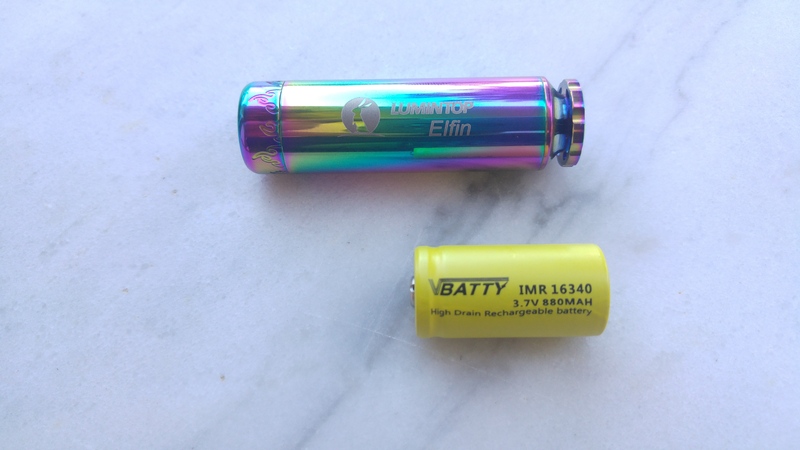 Battery removed @ 2.5 – 2.6 Volts in both occasions , flashlight blinked at that phase to show that battery is low . 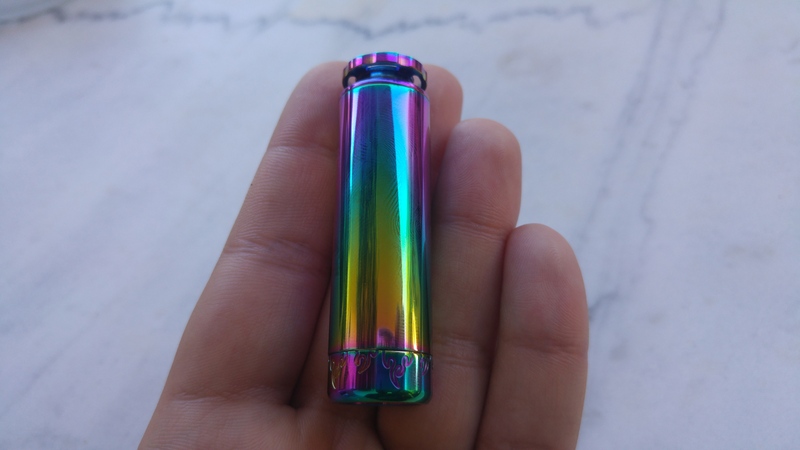 Flashlight is a work of art , awesome if you want a tiny EDC that everyone would like to own . 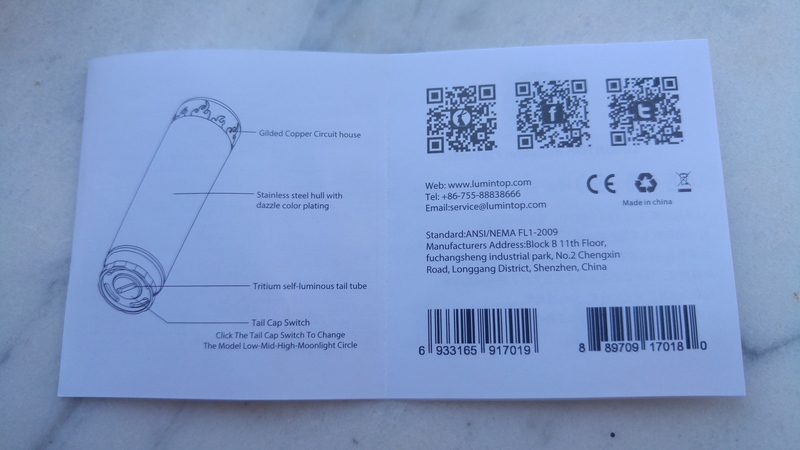 Quality is very good , no signs of machining etc . 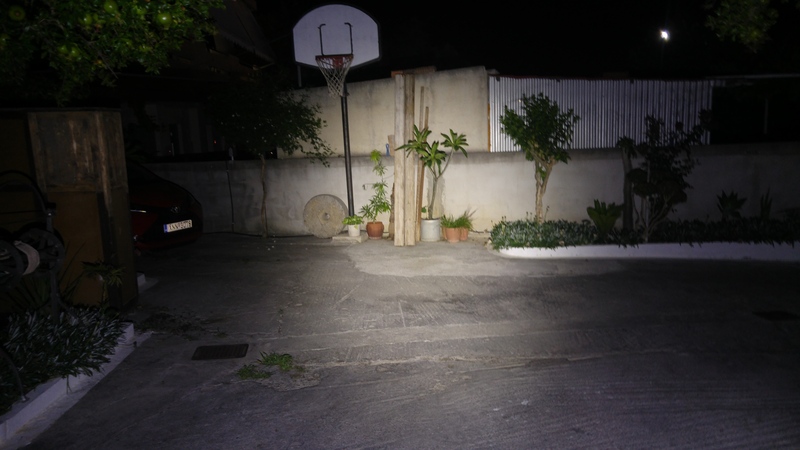 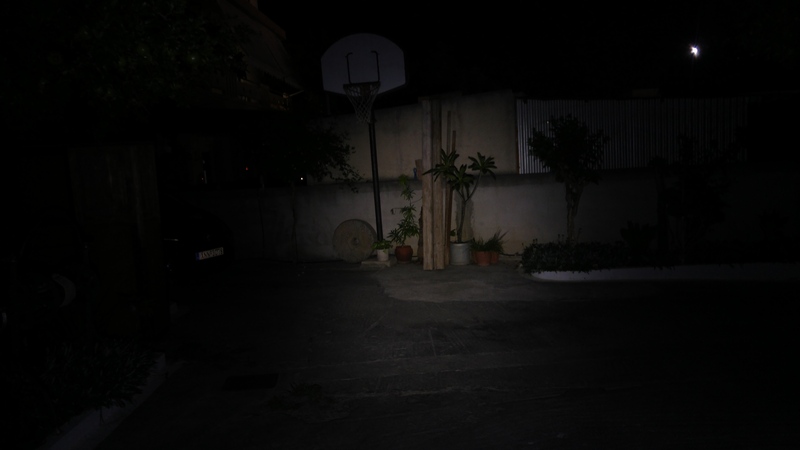 Flashlight on high mode is very bright , brighter than you would expect from a light of it’s size … There is a gradual stepdown on High mode , but it has to be there for you to be able to hold the light as long as you like . 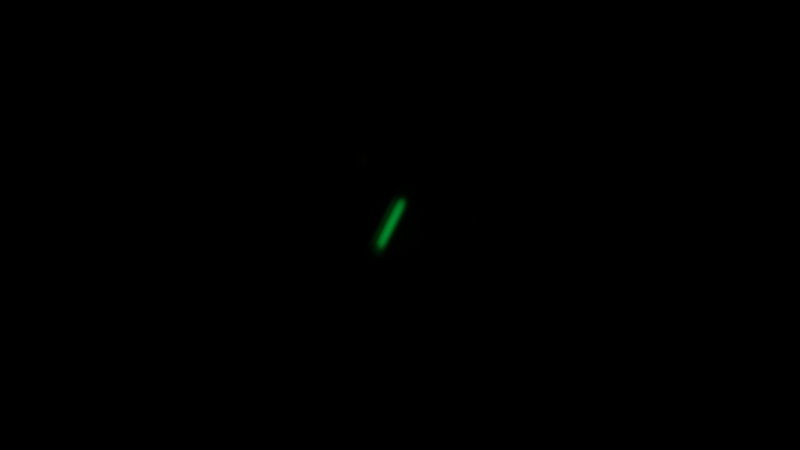 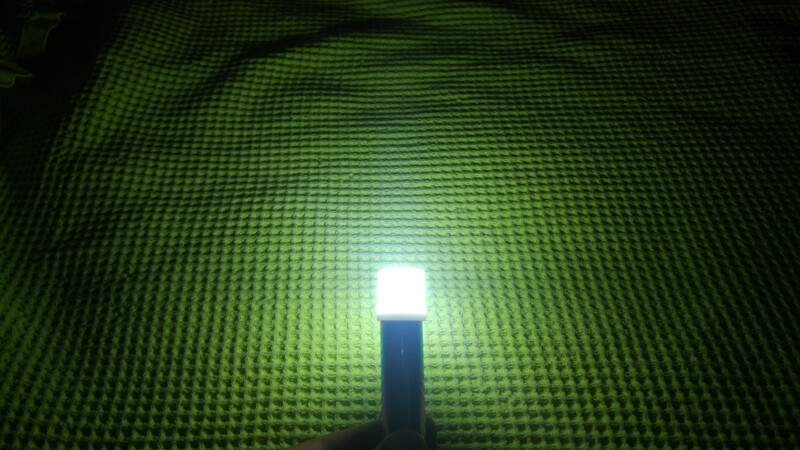 Tritium is a nice addition from my perspective , makes locating the flashlight in the dark way easier . 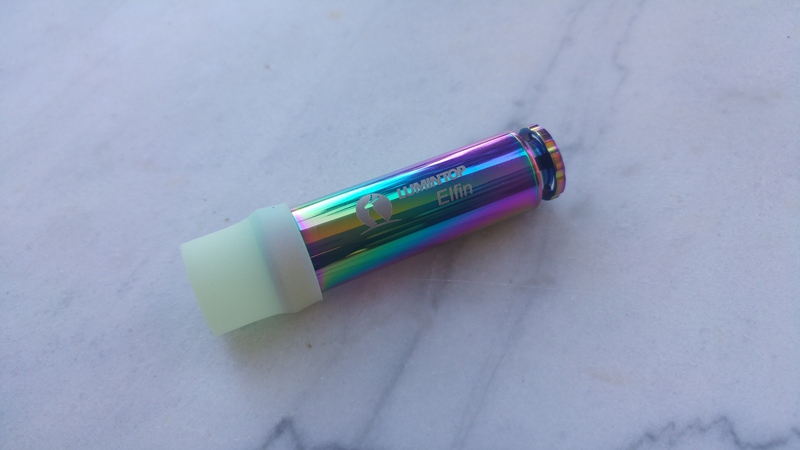 A classy flashlight that also does what it says good , i like it ! 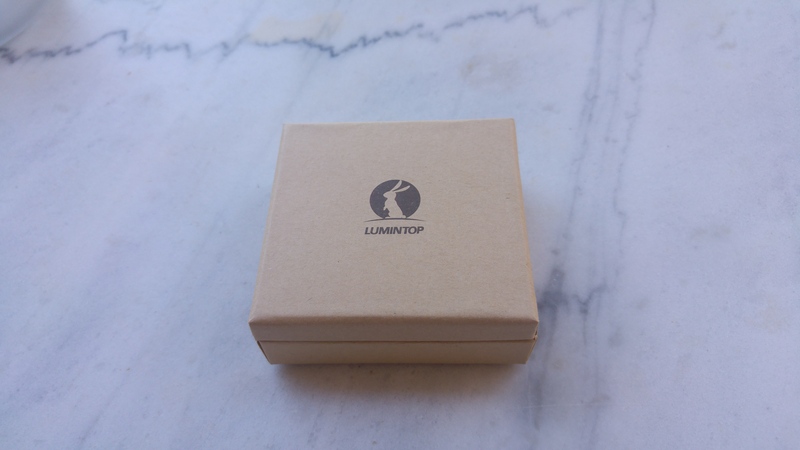 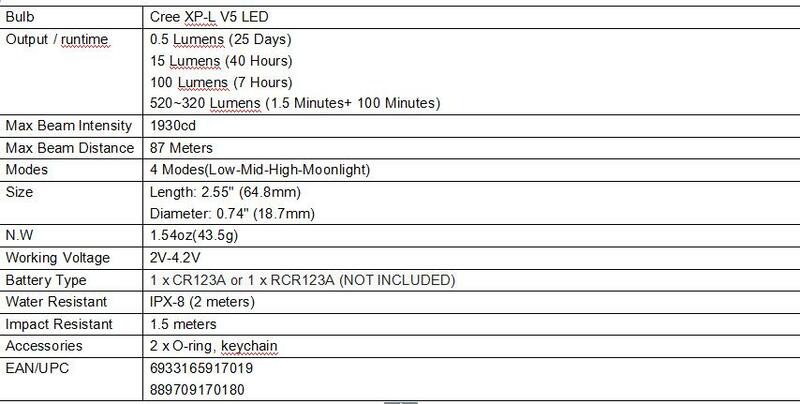 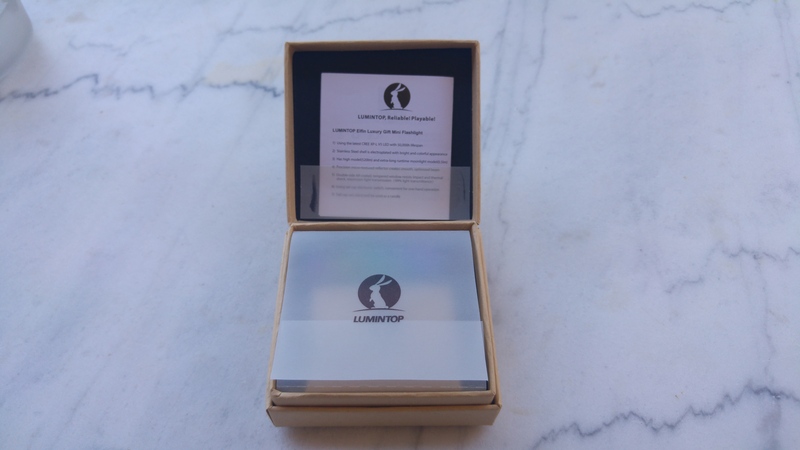 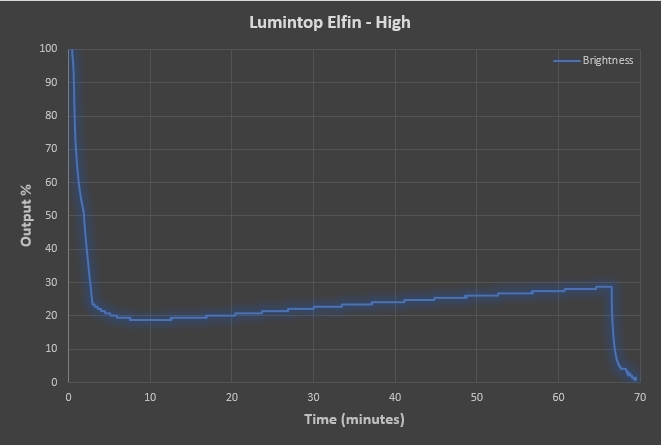 Flashlight was provided for Review purposes by Lumintop .